There’s no question that Americans are bitterly divided by politics. But in Partisans and Partners, Josh Pacewicz finds that our traditional understanding of red/blue, right/left, urban/rural division is too simplistic. Wheels-down in Iowa—that most important of primary states—Pacewicz looks to two cities, one traditionally Democratic, the other traditionally Republican, and finds that younger voters are rejecting older-timers’ strict political affiliations. A paradox is emerging—as the dividing lines between America’s political parties have sharpened, Americans are at the same time growing distrustful of traditional party politics in favor of becoming apolitical or embracing outside-the-beltway candidates. Pacewicz sees this change coming not from politicians and voters, but from the fundamental reorganization of the community institutions in which political parties have traditionally been rooted. 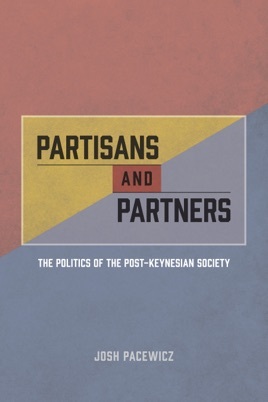 Weaving together major themes in American political history—including globalization, the decline of organized labor, loss of locally owned industries, uneven economic development, and the emergence of grassroots populist movements—Partisans and Partners is a timely and comprehensive analysis of American politics as it happens on the ground.